I have been plotting and planning my dream studio makeover. I am currently organizing and decluttering my studio before I start painting and rearranging.. as I am organizing I am reminding myself again that I have an over abundance of art supplies... reminded and finding lots of missing socks (my dogs have a strange love for socks).. Here is my start for inspiration for my new studio space and sneak peaks of some ideas that are forming.! all photos are courtesy of pinterest. Haha!The studio in the third photo is my favorite! An artist can't be ordered! What a great round-up of studios! I am loving the second one pictured. nothing makes me giddier than redecorating my office space. cute pics! can't wait to see what you do! i love the first one (fantasy) and the second one. don't get discouraged with the purge. i find once i make the colossal mess i stress out and wish i hadn't started, but then it all comes together. can't wait to see what you do! Best of luck in the studio re-do! 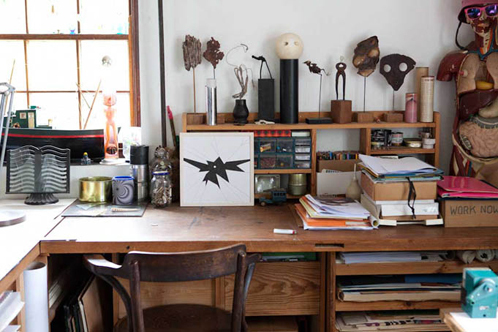 I'm also a fan of organized messy spaces. I like for everything to have it's place but if the lines are too clean and perfect, I go a little bit crazy! Can't wait to see what your space looks like when you're all done! 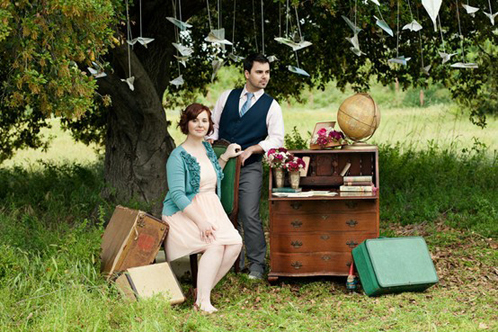 i love the first photo and I love your studio just the way it is! It looks real and used and like the kind of place an artist would have! Of course I do still hope you get the studio of your dreams, I just think your space is pretty cool! Love all the polaroids on the wall! I want to put mine to use like that. I have a ton of mini instax ones. oooh I don't know which one is best! They are all so pretty but different. Love the flat files though! 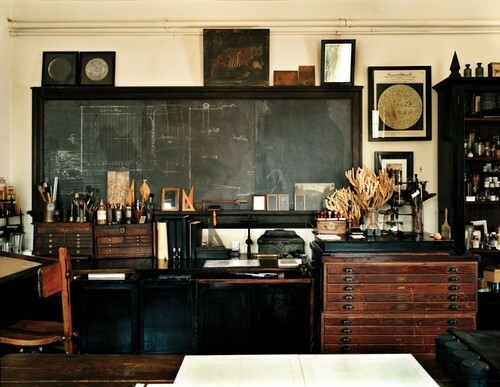 i'm loving the one with the black board! it looks like a science lab!! and think of all the crazy fun you can have with colored chalk! oh wow! im always looking for new studio inspirations as well :) love all of these. 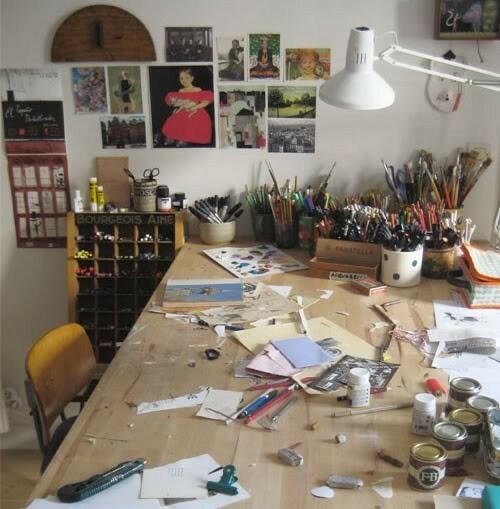 That last photo totally reminds me of what my art table looks like as i am working....papers everywhere! Can't wait to see your new studio. these are all lovely. 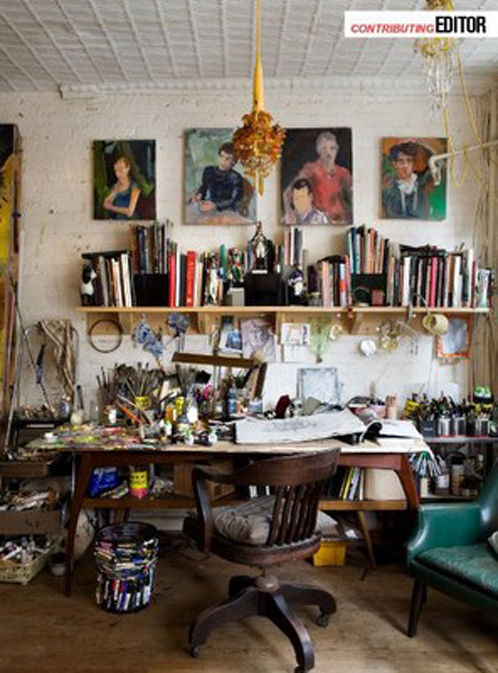 gives me inspiration for my studio too, which i desperately need to do something with. good luck on the re-arranging! What a mess, but still they are all beautiful :) Thanks so much for sharing. I actually wanted to do a similar post, but these great studio pictures are a little to hard to come by... These are fantastic! The ocean and the canon. a little bit of magic and dust. I'm in the rose garden! Stars are Bright! Big and Bright!